Animal Clues, by Joanne Randolph, is an Easy Reader series that we just came across this past week. The format for each book is very similar. They have a Table of Contents, then each 2-page spread includes a question with a picture clue, followed by the answer with the full photo revealed. 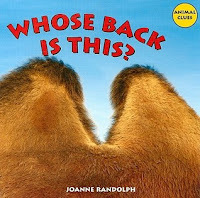 The questions and answers are written nearly identically, which will help beginning readers build confidence. The photos are crisp and clear, and even though some of the questions are super obvious, there are at least a couple in each book that are not. 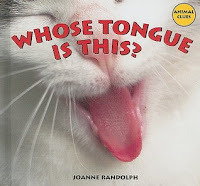 The last page includes an Index, a handful of Words to Know, and a website listing pertaining to that particular topic. 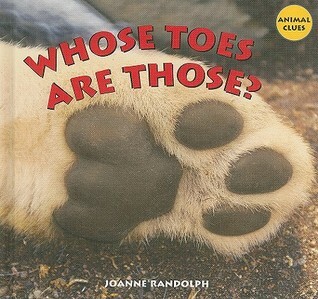 My 4-year-old is really into these type of "guess the answer"-type books right now, and he was all over these! We checked them all out at once! He sat down and "read" them to himself as soon as we got home from the library, then wanted me to read them with him later, as well. While these may not be a more experienced reader's first pick, they serve their purpose very well. Hand these to: Beginning readers who like animals, and would enjoy a guessing game along the way. Do you have any favorite Easy Reader series? Do tell!